Test drive any motorcycle and decide what's right for you! 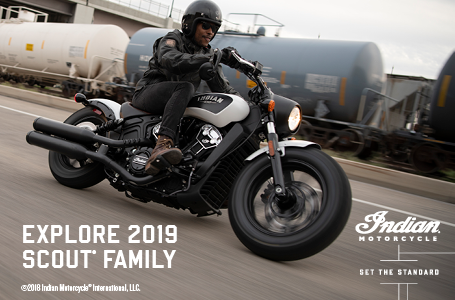 Indian Motorcycle® backs every new Indian Motorcycle with 2 years unlimited miles and an optional 3 year extended warranty..
A full year of roadside assistance coverage. Services available include emergency transport, pickup and delivery of your motorcycle, fluids delivery, and a jump start for your dead battery. 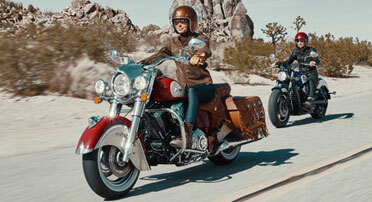 We pay up to $250 to fly to our dealership and ride home on your new Indian Motorcycle®. 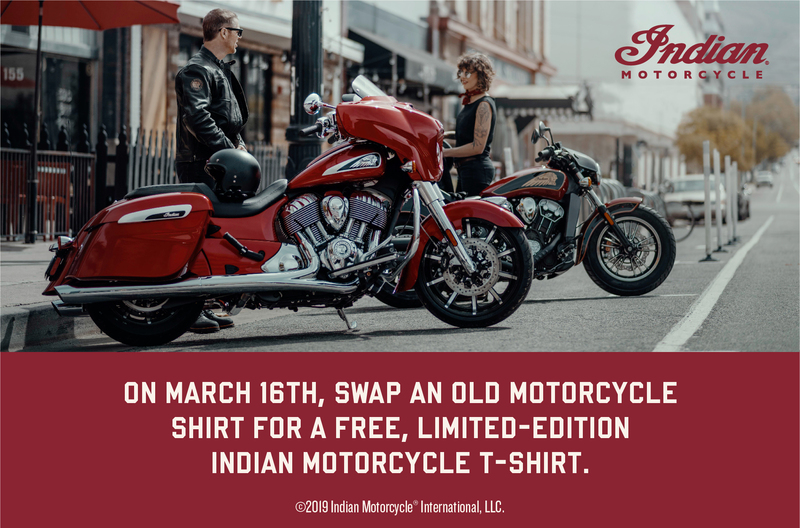 This credit will be applied toward your purchase of a new 2019 Indian. 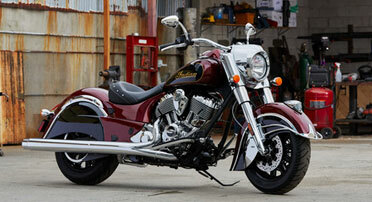 We have new and used Indian motorcycles in stock. If we do not have the model and color you want, we will accept a $1000 deposit and place the order for you. The factory says they are filling special orders in about four weeks at this time. Remember Indian will pay up to $250 of your air fare if you would like to fly down and do business with us. We will pick you up at the airport and set you up in a hotel with an Indian customer discount nearby. 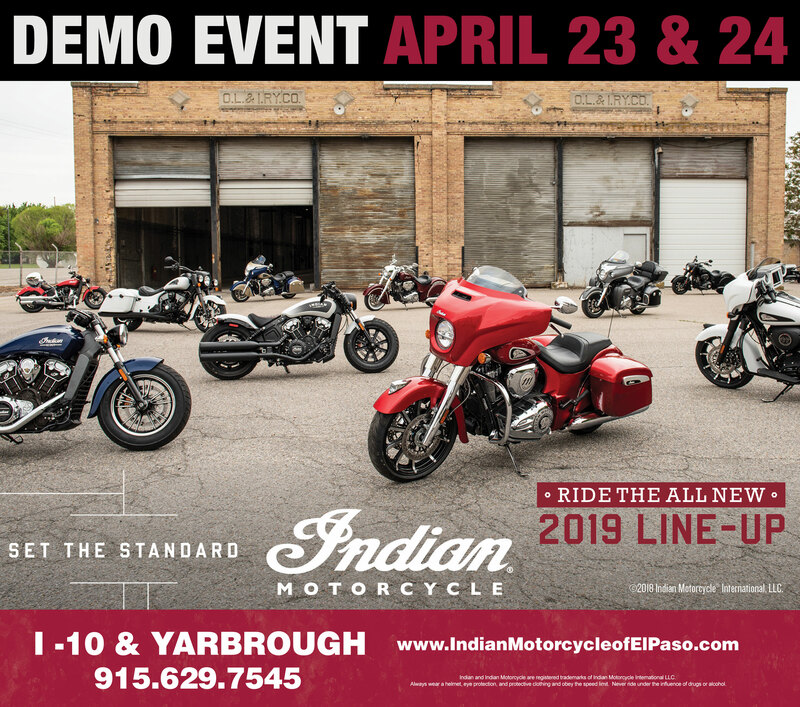 By subscribing to our newsletter you will always be up-to-date on our latest promotions, deals and motorcycle inventory!